As business realities change, an increasing number of companies are looking at ways to minimize costs. 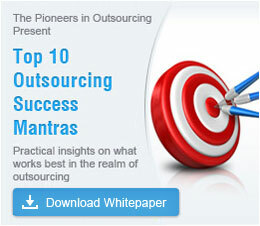 Outsourcing non-core areas to a skilled vendor like Outsource2india can be a viable alternative for them. Adopting this strategy can help the business reduce costs without compromising on quality. Today, businesses are outsourcing a diverse range of services. These range from the relatively low-skill call center services to market research and analysis, which requires expertise and skilled workers. In addition, Finance and Accounting Outsourcing (FAO) is becoming increasingly wide spread as is medical outsourcing. From healthcare providers to software developers, everyone seems eager to leverage the benefits of outsourcing. IT outsourcing typically includes outsourcing of software development. This may take the form of end-to-end outsourcing where all activities related to design, development, and testing are outsourced. In other cases, only a part or portion of the overall system is outsourced for development. This is in cases where the client does not have the requisite skills or technology for the development work. Different businesses may choose to outsource for different reasons. Minimizing costs may be the main objective for one company. Another business may choose to outsource certain non-core activities so that it can divert its own resources to strengthening its core competencies. Whatever your specific objective, Outsource2india can develop a solution customized to your unique requirements.